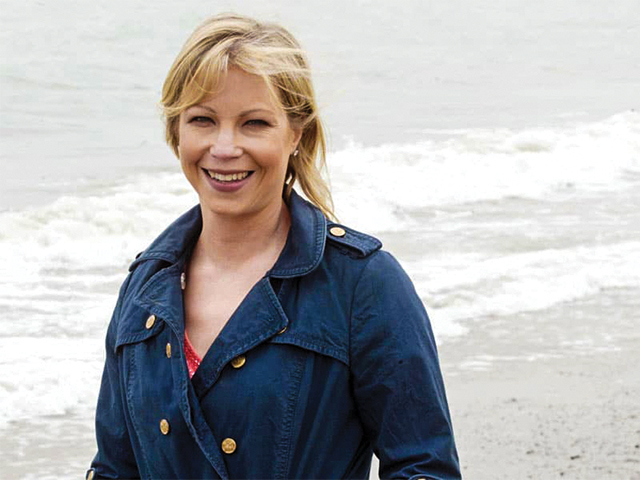 Best-selling author Emma Hannigan announced that she has terminal cancer last month. A wife, a mother of two, a phenomenal author and an inspiration to us all, The Bray native, known for her books ‘Letters to my daughter’, ‘Talk to the headscarf’, ‘The Secrets We Share’ and ‘The Wedding Promise’, was first diagnosed in 2007 and has been fighting the disease since. “I have beaten cancer a grand total of nine times. I was diagnosed for the tenth time in October of 2015.” Hannigan said in an announcement on her website. Emma began to write semi-fictional novels about cancer as it has been such a big part of her life. She also felt it was her “civic duty” to do so. “I certainly wouldn’t recommend cancer to a friend, but I have turned the worst part of my life into what is undoubtedly the best. You see, boredom from being made sit in a bed led to a wonderful thing. I began to write. Once I started I knew this was the missing part of the jigsaw to make my life complete,” she said in the blog post. ‘All To Live For’ is Emma’s latest update about her battle with cancer. Her words are raw, honest, beautiful and moving all at the same time. Hundreds of her fans have taken to social media to celebrate her life and work and to thank her for being so brave and inspiring. Since the announcement that she only has a few more months to live, a fundraising campaign which Emma started has raised over €51,000 for Breast Cancer Ireland. Fans have also helped her newest book ‘Letters to My Daughters’ has also reached number one in Ireland. Even with little time left, she is still helping others and making a difference. This shows what a truly kind and wonderful person Emma is. She has stolen the hearts of a nation and inspired people to be positive even during awful circumstances. Emma “is spending her precious moments with her family”, her manager said to The College View.